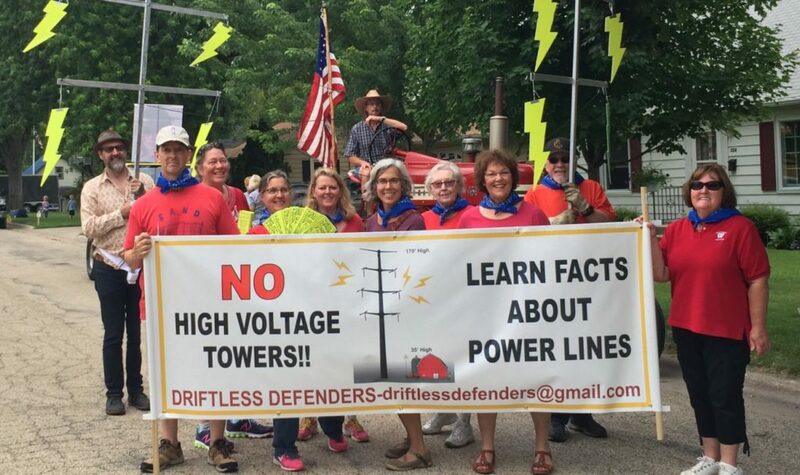 Driftless Defenders will again be walking in the parade and possibly have a table at the Cobb Corn Roast Festival. 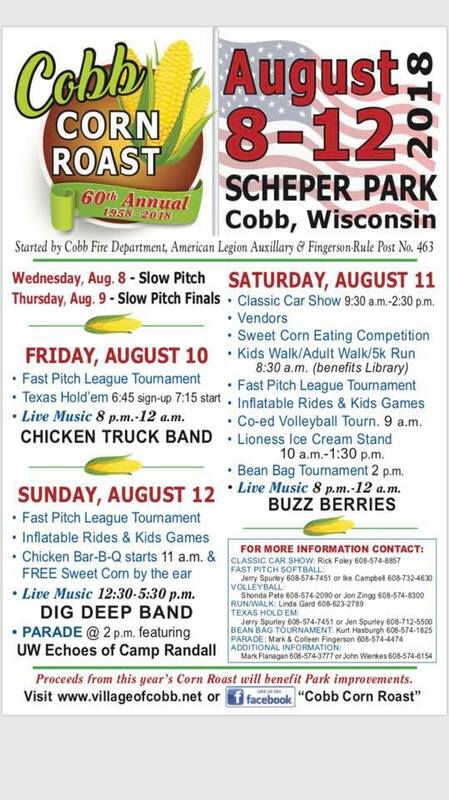 The corn roast activities run from August 8th – 12th. We will be there Sunday, August 12th. The parade is at 2pm. 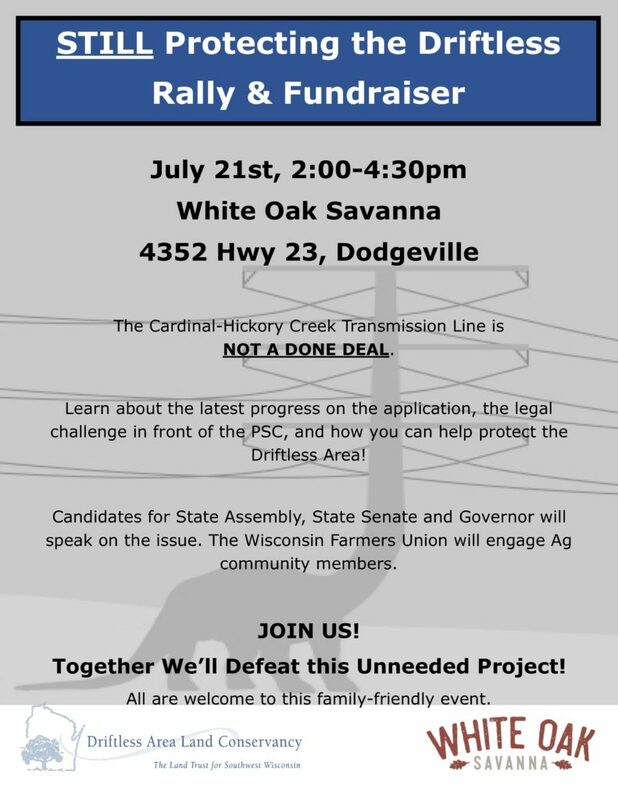 The Cardinal-Hickory Creek transmission line is NOT A DONE DEAL. Join us and show your support for the opposition! Learn more about the latest progress on the application process, the financial challenges that are ahead and how you can help. Area candidates for State Assembly, State Senate and Governor have been invited. All are welcome! In the past line up was on side streets on the south end of the city. The parade proceeds down the main drag (Iowa Street) and turns right by the trailer park, where the parade generally breaks up. Some people continue on to Harris Park (but most likely not us). For Farmers Appreciation we usually wear anything, sometimes a bandana around our neck (provided) if it isn’t too hot. 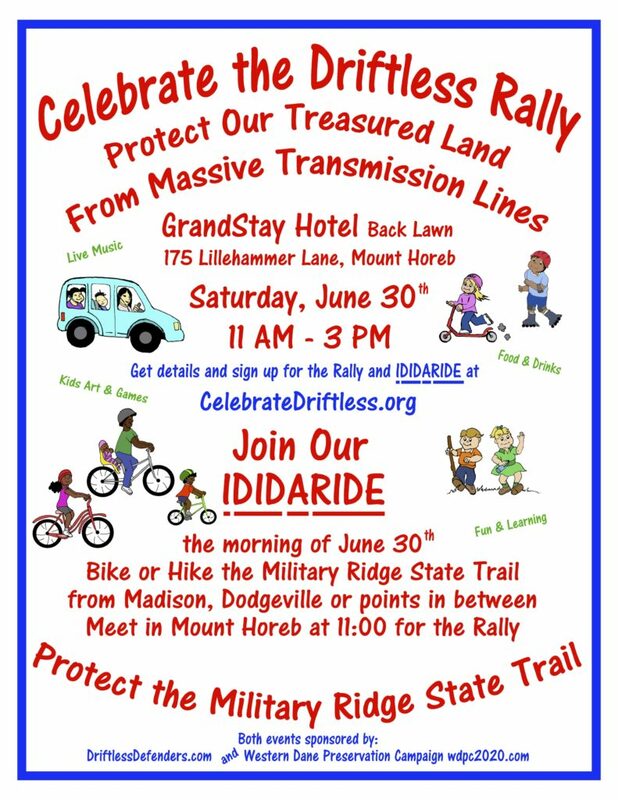 NOTE: the email address is no longer active on the banner… please contact outlook@driftlessdefenders.com for additional parade information. Rally in Mt Horeb gets air time! 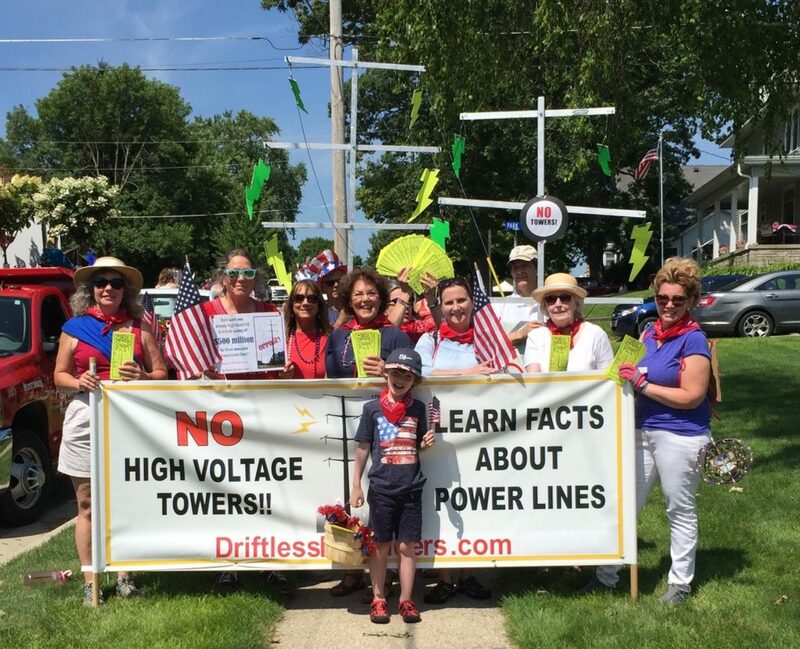 A group rallied in Mount Horeb Saturday to bring attention to the driftless area. 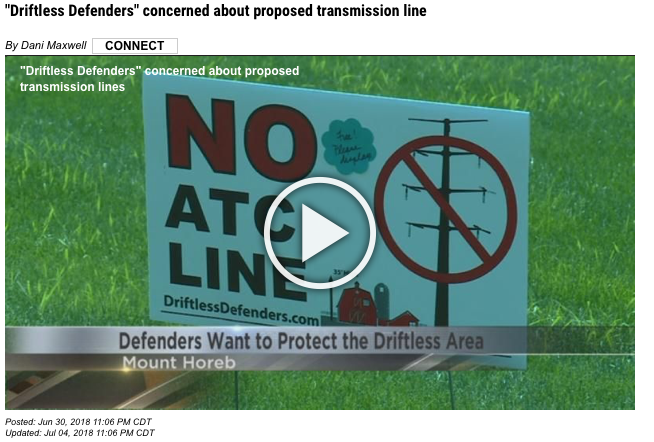 They call themselves the “Driftless Defenders” and are concerned about a proposed 125-mile transmission line that would run through the area. In the past line up was on side streets at the top of the hill near the water tower. The parade proceeds downhill on High Street. Driftless Defenders, Mineral Point Fourth of July parade, 7/4/2017. In front: Will. Left to right: Kerry Beheler, Ann Wolfe, Susan Van Sicklen, Mike Van Sicklen, Betsy D’Angelo, Amy Noble, Julie, Greg Firkus, Pat Murphy, Lea Stroncek. 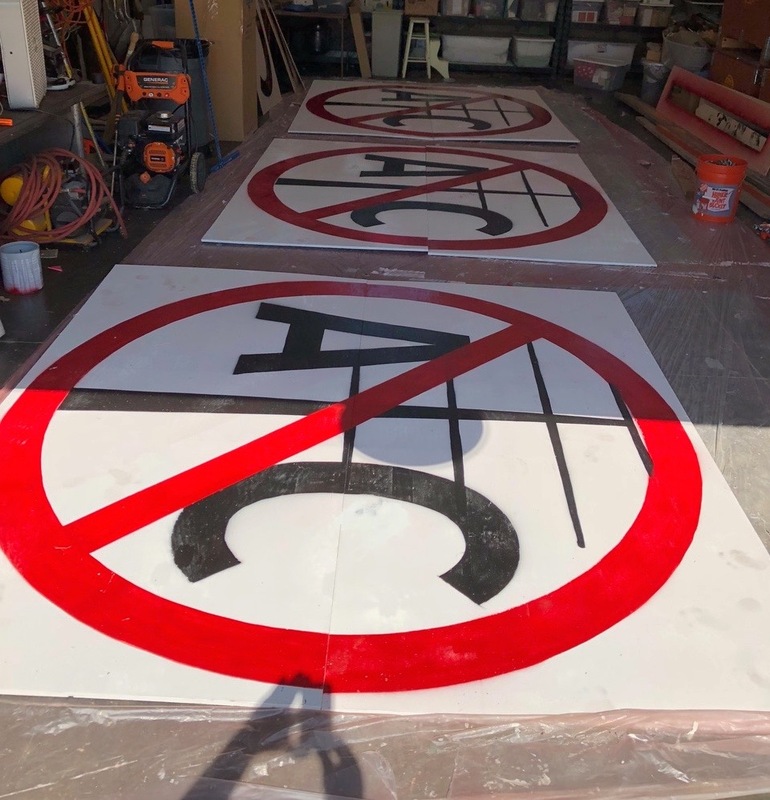 One of our Driftless Defenders members is producing 8 x 8 foot plywood anti-ATC signs in his barn. So far seven have been made and placed in high traffic locations from Dodgeville to Mount Horeb. He is looking for more locations along 18/151, 14, and 18 that have good visibility in either direction. It is essential to have an old farm implement or barn that he could mount the sign to. There is no cost for these first signs. Others will be produced at no charge for good locations, but donations and volunteers to help produce more signs would be helpful. Plywood, paint, templates, and hardware cost about $65 per 8 x 8 sign. If you are good with a paint roller you can help! Templates for the signs are ready and waiting! Contact outreach@DriftlessDefenders.com if you know of a location, farm implement, and/or can help in any way. In keeping with our “Ididaride” play on words with “Iditarod”. Judy Campbell of Dodgeville, will bring two of her sled dogs and two or three sleds to the GrandStay Hotel. The dogs will be on harnesses and are quite friendly so interested children will be able to pet them. People can stand on the sleds and have their pictures taken. Two local businesses, Cress Spring Bakery and Brix, will be on site selling their wood-fired pizza and hard cider. EDUCATING Wisconsin citizens on utility issues and promoting their involvement in the decision-making process. WDPC meeting next Tuesday 19 June 6:30pm at GrandStay Hotel in Mt Horeb. Please join us! SOUL and Grant County activists will be holding an event in Montfort on Saturday, April 27. All opposition groups are supporters. You yourself can be a supporter by attending.